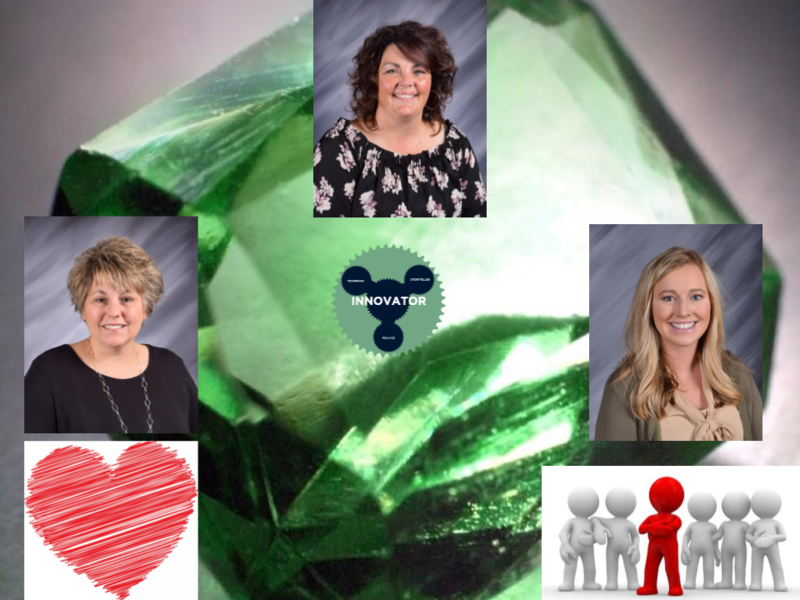 The eighth annual Emerald Awards Winners have been announced and will be recognized Thursday, April 26, 2018, at a ceremony at the Peerless Theater in downtown Holyoke. The Emerald has a terrific folklore throughout history and in many cultures. The emerald has represented such attributes as: active intelligence, the promise of good luck, the ability to enhance our well-being, as well as the color of Venus who was the goddess of beauty and love. The green of the emerald is the color of life and of the springtime, which comes round again and again. Therefore it is most fitting for our recognition of excellence in our district. Three awards will be given annually for each of the following categories which acknowledge some of the key attributes of excellence in the education profession. The Nomination Process is very simple. Only an employee of the school district may nominate any classified or licensed employee. The nomination should be in the form of a narrative, limited to one page, telling a compelling story as to why his or her fellow employee meets one of the criteria described above. The community sponsors will select the award recipients. Employees are eligible to receive the award again. This is open to any employee who demonstrates exceptional caring for a student, student’s family, a group of students or colleagues. The purpose of the award is to demonstrate that many of our employees are in this business to make a difference in the lives of others. This year's winner is Cynthya Bahler. Cynthya Bahler is an exceptional teacher and leader of the kindergarten staff. This is open to any employee who has taken a risk to implement some new initiative, program or strategy based on research or evidence of success. The purpose of this award is to demonstrate how we value innovation and risk taking in this district, and that takes these pioneers in a district to make progress. This year's winner is Nancy Miles. Nancy has worked tirelessly to create, organize and implement a Life Skills Program at both the elementary and Jr/Sr High Schools. This award is open to any employee who provides excellent leadership. Leadership may come in many forms such as: many contributions to committees, mentoring, leading a group through a particular issue, speaking on behalf of others, finding a solution, advocating, inspiring, or any form of leadership. The purpose is to demonstrate that leadership comes at all levels. This year's winner is Shauna Brown. Shauna Brown gives her personal time to any student that may need help, even when she has a family at home. For full details about the Emerald Awards, including past winners and sponsors, click here.